Local manufacturing news and information. 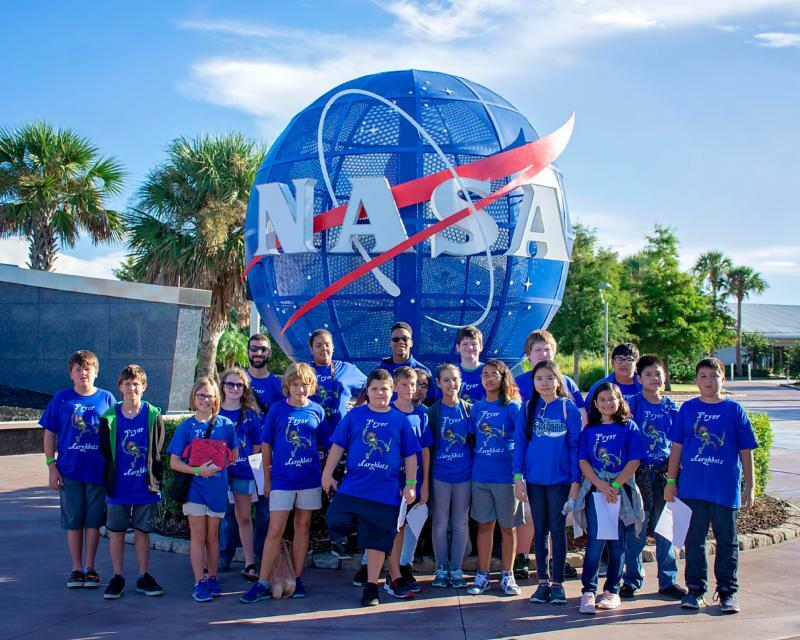 Robotics teams across Okaloosa County were recently able to visit Kennedy Space Center in Southeast Florida, allowing them to prepare for upcoming robotics competitions. Participating teams were from the following schools: Bob Sikes Elementary, Davidson Middle, Pryor Middle, Shoal River, and STEMM Academy. Donations from NWFMC, the Eglin Air Force Association, and the Doolittle Institute helped fund this trip. Using LEGO Mindstorm kits, students must build and program a robot to accomplish tasks autonomously. Teams must also identify and solve an issue that astronauts may face after long periods of living in space. “It’s always exciting to see what our teams pick for their projects. What people may not know is that there is a lot more going on than just robotics. Students have to learn to think, problem solve, and create,” says Jennifer Kiel, who has coached the STEMM Stingers for five years. Like any other team, students must work hard to fund equipment and entry fees. Laurie Allen, Shoal River Robotics coach, has gotten creative on her team’s fundraising. “We have done everything from running concession stands at events to hosting a 5K obstacle course mud run in Crestview for the last three years. Our season is all school year and paying for robots, travel, and tournament fees can add up. We are always looking for sponsors, experts, and even volunteers who can help and inspire our students.” Many teams have local sponsors that help support robotics in Okaloosa County. If you are interested in helping, please contact your local school. Manufacturing Day and Month is just a short few weeks away. We hope you are all planning student tours of your local and regional manufacturers. FLATE has developed several MFG DAY resources to help support your efforts and capture their impact. 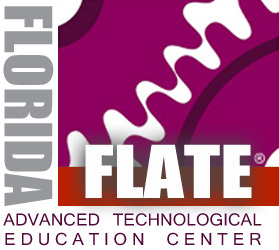 Additionally, FLATE's wiki has other great educator resources. The survey results represent data from 223 firms. On average, over $3.3 million in total impact and over 23 jobs were created or retained per firm. The survey results represent data from 40 firms. On average, over $5.5 million in total impact and over 21 jobs were created or retained per firm in this region. FloridaMakes is a great resource and can help your company address current challenges, create new opportunities for growth and achieve measurable results. To learn how FloridaMakes’ services can unlock growth opportunities and cost savings for your company, contact your FloridaMakes’ Business Advisor Daniel Krug at dkrug@uwf.edu, (850) 612-5895 (cell), John Davis at jdavis6@uwf.edu, (850) 384-5275 (cell), or Mary Nutial at mnutial@uwf.edu, (850) 426-9145. The findings were reported directly by manufacturers through a third-party outside survey conducted on behalf of the National Institute of Standards and Technology’s Manufacturing Extension Partnership. FloridaMakes is the official representative of the MEP National Network and NIST MEP in the State of Florida. Have an event you would like to add? This newsletter was developed in collaboration with the University of West Florida.